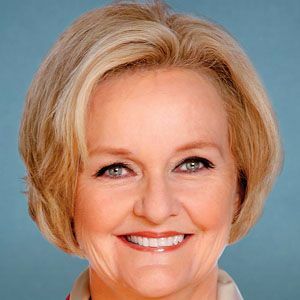 American politician and member of the Democratic Party who became a United States Senator from Missouri in 2007. While in the Senate she became chair of the important Homeland Security Subcommittee on Contracting Oversight. She grew up in the small town of Lebanon, MO, where her family ran a drugstore. She urged the FAA to revise their rules on electronics on planes, saying that if the pilots can use them, so can the passengers. After living as a single mom for seven years, she married a divorced man, and the family now counts seven children and five grandchildren. Harry Truman was another famous Senator from Missouri, and she considers him her inspiration.